Bernie Sanders and Donald Trump won the primary Tuesday night. 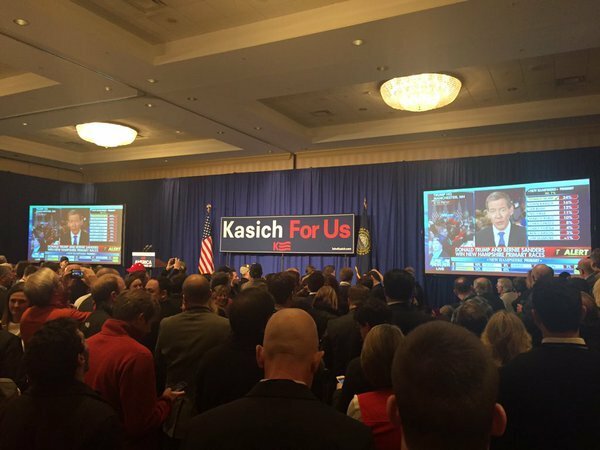 See highlights from their victory speeches and Clinton's concession speech, and more updates from New Hampshire. Trump began by thanking his family including his deceased parents: "I have to begin by paying homage to my parents who are up there, looking down. They love this country and they are very happy now." "We have some real talent in the Republican party." 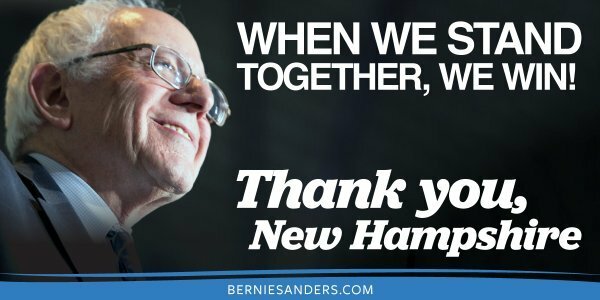 "We want to thank the people of N.H. Do we love the people of N.H.? It's so beautiful ... and I think they actually like me." "N.H. we are not going to forget you. You started it." "When I came out I heard the end of Bernie's speech .... we have to congratulate him. He wants to give away our country but we're not going to let it happen." "We are going to make America great again but we're going to do it the old fashioned way ... we're going to beat China." "We are going to do something so good and so fast the world is going to respect us again, believe me." He referred to self-funding his campaign and said: "I see all this money being poured into commercials ... these are special interests, lobbyists that don't have the best interest of our country at heart. When you see the kind of deals made in our country because the politicians ... they are making them for their benefit." Our military is going to be "so big, so strong, so powerful that nobody is going to mess with us." "We are going to take care of our vets .. they are treated horribly." "We are going to have strong, incredible borders ... people are going to come into our country legally." We are going to build a wall. It's not even a difficult thing to do." "N.H. you have a tremendous problem with drugs .. heroin ... we are going to end it at the southern border." 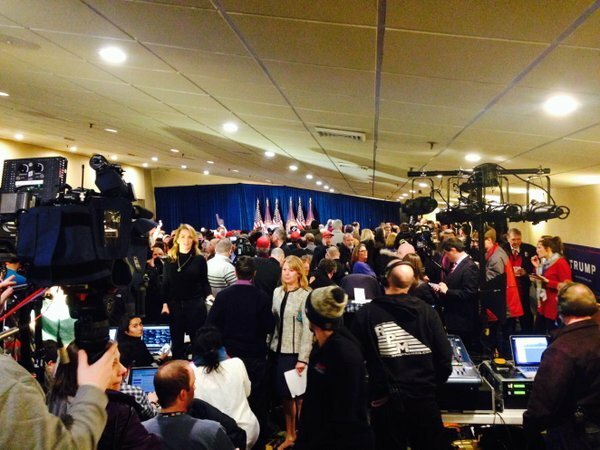 "We have thousands of people outside who can't even get in," he said referring to the crowd of supporters. "We are getting rid of Common Core." "We are going to repeal and replace Obamacare. It's a disaster." "There's not going to be anymore chipping away of the second amendment." "We're going to knock the hell out of ISIS." 'We're going to take care of the economy, jobs, health care, our border ..."
"Because of a huge voter turnout, we won. Because we harnessed the energy and the excitement that the Democratic party will need to succeed in November. 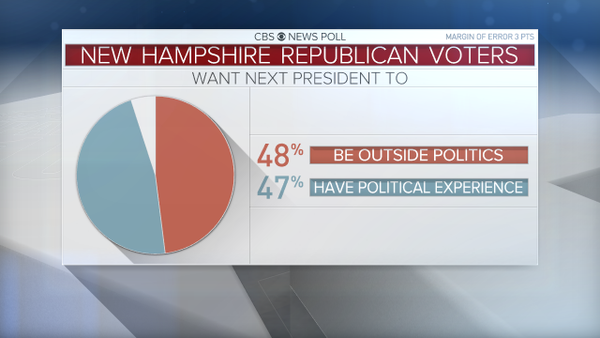 What happened here in N.H. in terms of an aroused and enthusiastic electorate ... that is what will happen all over this country." "We will not accept a rigged economy." "The last time Republicans occupied the White House their trickle-down economic policies drove us into the worst economic downturn since the Depression of the 1930s." "I do not have a super PAC and I do not want a super PAC ... our campaign's financial support comes from more than 1 million Americans .. and more individual contributions that any candidate in any election in history." "I am going to New York City tonight ... but I'm not going to NYC to hold fundraiser on Wall Street. Instead I'm going to hold a fundraiser right here, right now across America," he said, while directing viewers to his website. "Please help us raise the funds we need to take the fight to Nevada, South Carolina and the states on Super Tuesday." "Our great country was based on simple principle of fairness .. when the top one tenth of 1 percent now owns almost as much as the bottom 90 percent that's not fair. Together we are going to create an economy that works for us, not just the 1 percent and when millions of our people are working for starvation wages we are going to raise the minimum wage to $15 an hour and we are going to bring pay equity for women." "My critics say ... how you going to pay for it? We are going to impose a tax on Wall Street speculation. The greed and recklessness of Wall Street drove our economy to its needs, the American people bailed out Wall Street and now it's Wall Street's time to help the middle class." "Not only are we going to fight to end institutional racism and a broken criminal justice system, we are going to provide jobs and education for our young people, not jails and incarceration." "The debate is over, climate change is real, it is caused by human activity and it is already causing devastating problems in this country and around the world. We have a moral responsibility to ... transform our energy system away from fossil fuel to energy efficiency and sustainability." "When we make it to the White House, the pharmaceutical industry will not continue to rip off the American people. "I believe in a Medicare for all single-payer program which will not only guarantee health care for all but will also save the average middle class family thousands of dollars per year." "I will defend this nation but will do so responsibly ... I voted against the war in Iraq and that was the right vote ... We can not and should not be the police men of the world." "We must strengthen and expand social security ... so people can live in dignity in their retirement." "We must rebuild our crumbling infrastructure and when we do we create millions of good-paying jobs." He also spoke of defending women's rights, gay rights and to "protect the right of the women to control their body." 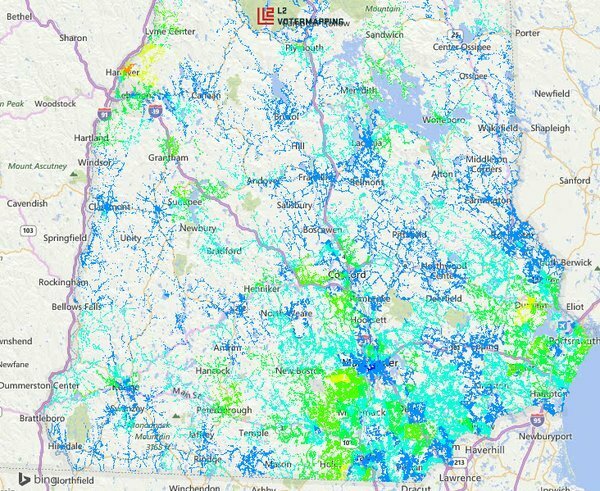 "What voters confirmed here in N.H. tonight is nothing short of a political revolution." "We are going to make our country so strong, we are going to start winning again ... we don't win anymore on trade, ISIS ... and we are going to win so much you are going to be so happy. 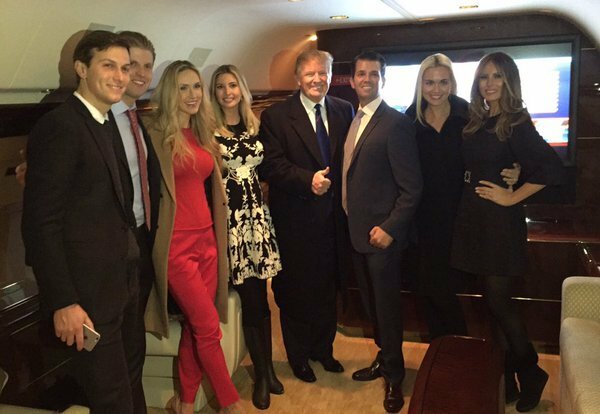 We are going to make America so great again, maybe greater than ever before." After congratulating Sanders and thanking her supporters, Clinton said: "I still love New Hampshire and I always will." Then, she vowed: "We're going to fight for every vote in every state." "People are hungry for solutions. ... who is the best change maker? Here's what I promise. I will work hard than anyone to actually make the changes that make your lives better." "A right wing organization took aim at me and ended up damaging our entire democracy ... you're not going to find anyone more committed to campaign finance reform than me .... I will fight to reign in Wall Street and I know how to do it." 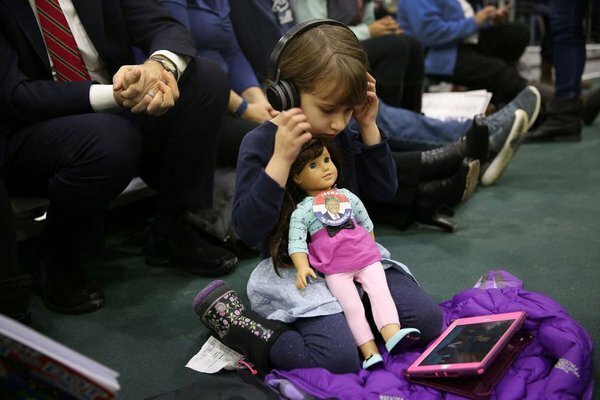 "We need to build a growth and fairness economy" including creating jobs, she said. "When people anywhere in America are held back by injustice that demands action," Clinton said while touting her recent visit to Flint, Michigan. And she promised "human rights across the board for everyone." "I know I have some work to do particularly with young people," she said. "Even if they are not supporting me now I am supporting them. I have had a blessed life but also know what it's like to stumble and fall and... it's about whether you get back up." "A president has to make sure nothing holds you back—not debt, not discrimination, not a deck that’s always stacked for those at the top." "How does a guy like me thank you for the countless hours?" he said speaking to his volunteers. "There's something that's going on ... there's magic in the air with this campaign." "We see this as an opportunity for all of us to ...change America." 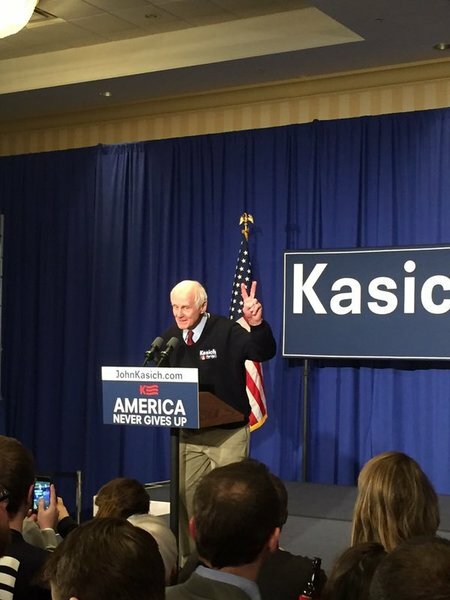 "Tonight the light overcome the darkness of negative campaigns and you made it happen." "We will make sure every single American has a job." "When I'm president of the United States ... we're going to solve the problems in America not by being extreme ... but by reminding everyone that we are Americans dedicated to fixing our problems." "We're all made to be apart of the healing of this world." "The people of N.H. have taught me a lesson. From this day forward, I'm going to go slower and spend my time listening and healing and helping and bringing people together." "Bernie talked so long I thought he was going hit his 77th birthday and Hilary ... head to S. Carolina because it's not working here and it's not going to work for them here next fall, because I'm coming back." "There's so much going to happen. If you don't have a seat belt, go get one." See how the candidates reacted on Twitter. 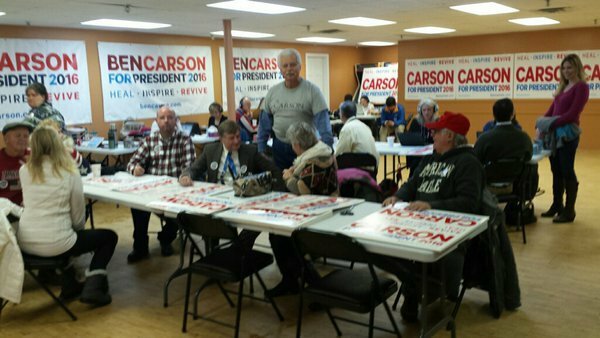 Thank you to the people of New Hampshire, I love you! Now, off to South Carolina. 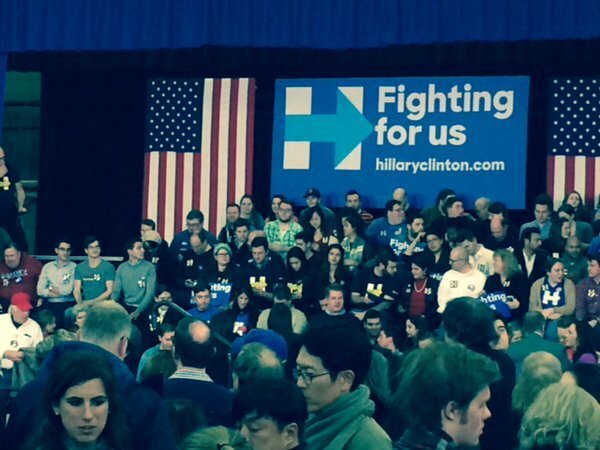 Now we head to South Carolina, Nevada, and Super Tuesday. We’ve put Washington on the run. Thank you New Hampshire for tonight’s result, which has left the Washington Cartel utterly terrified. Because of tonight, the voters will have a clear choice. We are here because of you. Because of your passion for our nation. Together, we've done what the pundits & the media said couldn't be done, what the DC establishment desperately hoped wouldn’t be done. The real winner is the grassroots who propelled us to a victory in Iowa and a far stronger outcome in New Hampshire than anyone predicted. The media says we’re going to win but we can't take anything for granted. Please, stay in line and practice democracy. Every vote matters. Debate criteria once again allowing media executives to control GOP nomination. Voters should matter. Delegates should matter. POTUS is not an entry-level job. 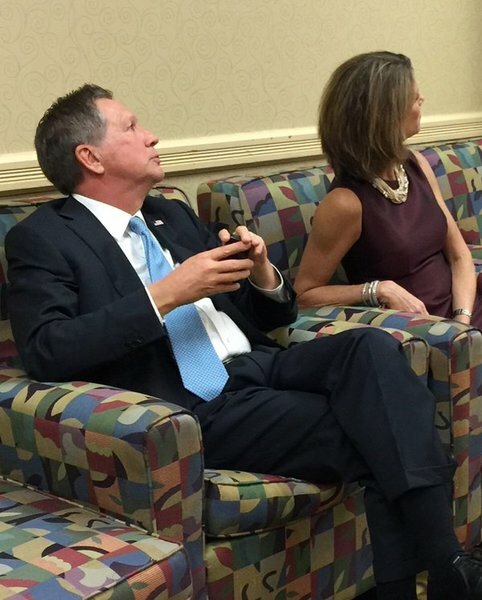 There's no substitute for executive experience & no one has more than @JohnKasich. During my 8 years as governor of Florida we didn’t just mark time — we filled those years with hard work and real reform. It is insane that low-wage workers for companies like McDonald’s must work when they are sick just because they can’t afford to stay home. As Commander-in-Chief, I will ensure that our military is equipped and authorized to defeat and destroy global terrorism. Marco Rubio said his disappointing showing the #NHPrimary was because of his performance at Saturday's debate. Jeb (as Fox, CNN go live to Trump): "This campaign is not dead. We're going on to South Carolina." Sanders: "our campaign is about having the courage to reject the status quo"
Sanders turns victory speech into fundraiser "for five bucks, 10 bucks, 50 bucks"
Sanders: "the people want real change"
Sanders: "what happened here in NH ... That is what is going to happen all over this country"
Trump watch party reacts to #NHprimary being called for Trump. 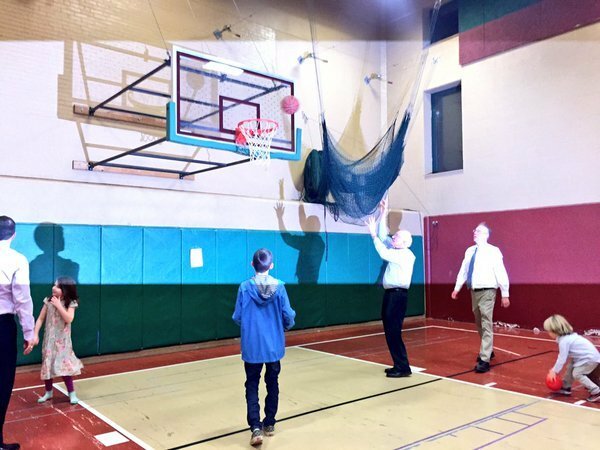 Watch Bernie Sanders shoot some hoops with his grandkids while he waited for #NHPrimary polls to close. Huge ovation at Trump event after CNN projects Trump as winner.